Marc Koehler Architects has created a series of lofts that put the design decision-making process in residents’ hands. Their Superlofts feature a flexible and efficient structural system that adapts to each resident’s changing needs over a lifetime. The innovative framework, integrated with a number of sustainability features, allows homeowners design “hybrid spaces” from scratch, and co-create the community’s shared spaces with their neighbors. Five Superlofts have already been completed in Amsterdam. 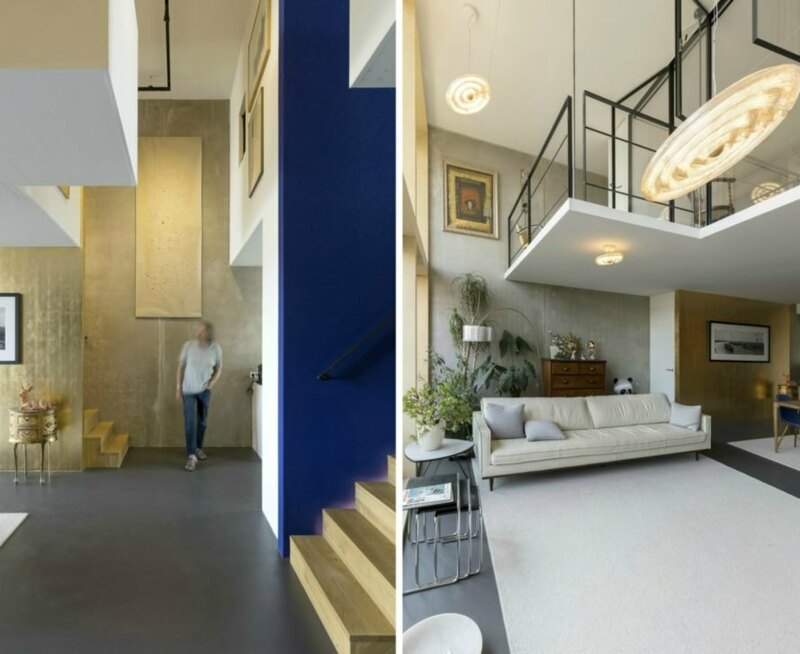 Superloft Houthaven Amsterdam, which is located in an redeveloping industrial area in the north of the city, is comprised of 19 residences ranging from affordable mini lofts to luxury penthouses. The design was co-created by a cooperative of buyers who installed a panoramic rooftop terrace, garden space, and cooking studio. The star of the program, however, is the building’s sustainability profile. The homeowners decided to create a climate-neutral building by installing solar panels and other sustainable features, such as water-based cooling systems, CO2 sensors, wireless light switches and electric charging stations. Using the open building movement as inspiration, the studio gives Superlofts the utmost in flexibility for home design: not only can the living spaces be personalized at move in, they can also be adapted to the future lifestyles of its inhabitants. 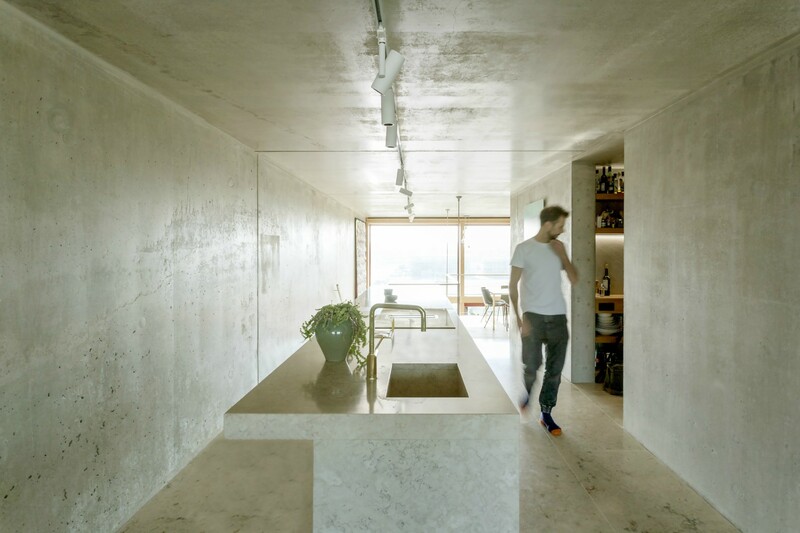 The design uses a prefabricated concrete base that frames a series of wide modules that can be combined into a variety of configurations from housing blocks and high-rises to townhouses and more. 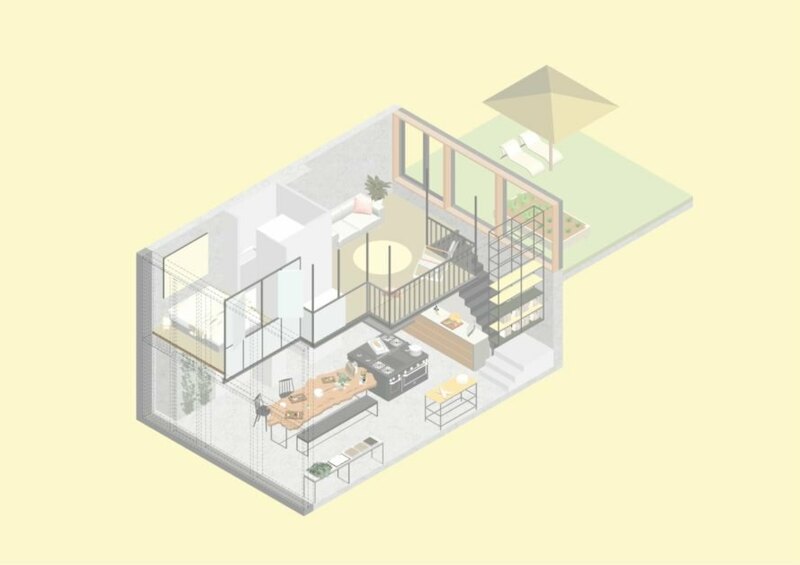 Homeowners can build out their living or working spaces within the raw volumes, enjoying a blank canvas to customize the space to fit their individual needs, which can change greatly over a lifetime. Centrally-placed utility shafts allow the kitchens and bathrooms to be placed almost anywhere in the lofts. Suspended cross-laminated timber mezzanine floors allow for extra spaces to be added without the need for supporting walls to be built or removed. The buildings come integrated with a number of sustainability features such as an aluminum smart facade that incorporates C02 sensors for ventilation, sun shading, drainage, and more. Floor-to-ceiling glazed walls flood the interiors with natural light, reducing heating and artificial lighting use. The shared living scheme creates an “urban village” feel, fostering a sense of connection within the buildings, versus the isolation that stems from the anonymous atmospheres of most city buildings. The Superloft design focuses on creating vibrant, self-organized communities through installing a series of collective community spaces such as workshops, rooftop gardens, playgrounds, co-working spaces, physical fitness centers and lounge spaces. 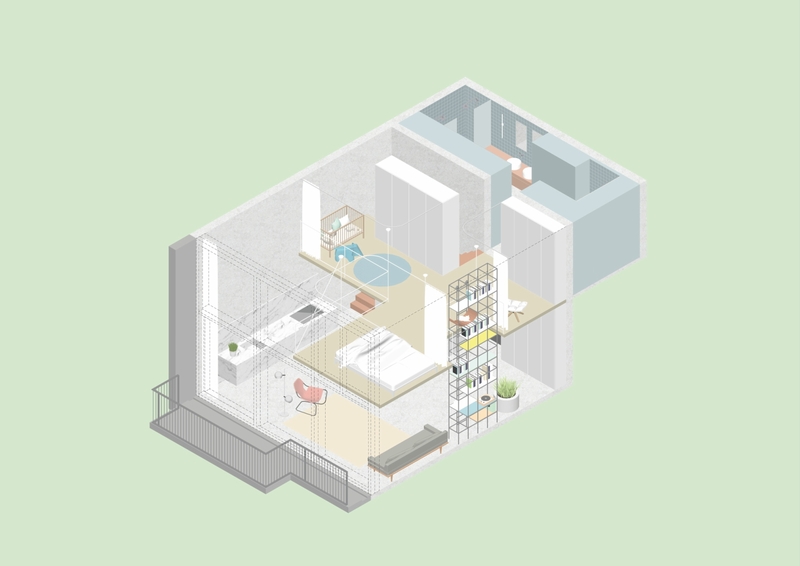 The Superloft design not only offers optimal flexibility for homeowners, but also for cities. The adaptable design is especially beneficial to urban areas because it facilitates a circular way of building, resulting in less obsolete constructions. It can also be used to revive neglected areas and provide affordable housing solutions. Marc Koehler Architects has created a series of lofts that put the design decision-making process in residents' hands. Their Superlofts feature a flexible and efficient structural system that adapts to each resident's changing needs over a lifetime. The innovative framework, integrated with a number of sustainability features, allows homeowners design "hybrid spaces" from scratch, and co-create the community's shared spaces with their neighbors. Five Superlofts have already been completed in Amsterdam. Superloft Houthaven Amsterdam, which is located in an redeveloping industrial area in the north of the city, is comprised of 19 residences ranging from affordable mini lofts to luxury penthouses. The design of the building was co-created by a cooperative of buyers who installed a panoramic rooftop terrace, a garden space, and a cooking studio. The star of the program however, is the building's sustainability profile. The homeowners decided to create a climate-neutral building by installing solar panels, and other sustainable features such as water-based cooling systems, CO2 sensors, wireless light switches, and electric charging stations. 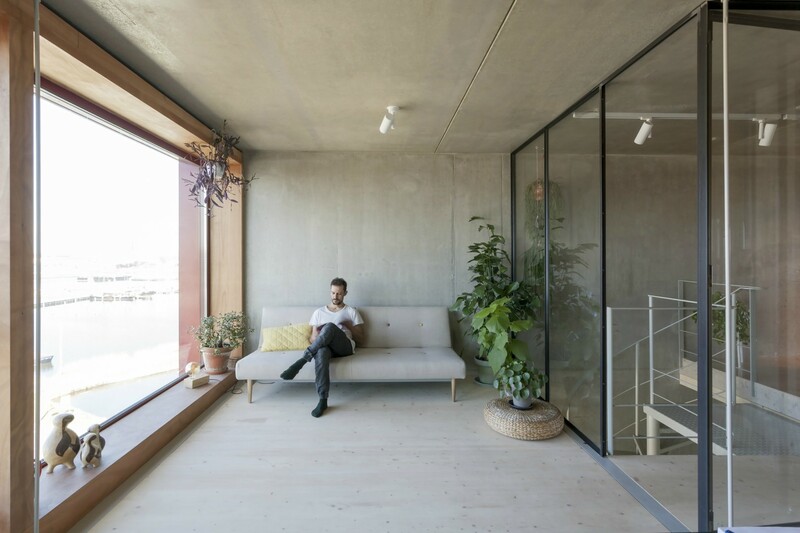 Related: This wooden loft house has a seamless layout that continuously flows from floor to floor Using the open building movement as inspiration, Superlofts offer the utmost in flexibility for home design, meaning that not only can the living spaces be personalized at move in, it can adapt to the future lifestyles of its inhabitants. The design use a prefabricated concrete base that frames a series of wide modules. These modules can be combined into a variety of configurations from housing blocks and highrises to townhouses and more. Homeowners can build out their living or working spaces within the raw volumes, enjoying a blank canvas to customize the space to fit their individual needs, which can change greatly over a lifetime. Centrally-placed utility shafts allow the kitchens and bathrooms to be placed almost anywhere in the lofts. Suspended cross-laminated timber mezzanine floors allow for extra spaces to be added without the need for supporting walls to be built or removed. The buildings come integrated with a number of sustainability features such as an aluminum smart facade that incorporates C02 sensors for ventilation, sun shading, drainage, etc. Floor-to-ceiling glazed walls flood the interiors with natural light, reducing heating and artificial lighting use. The shared living scheme of the design creates a "urban village" feel to the community, fostering a sense of connection within the buildings, versus the isolation that stems from the anonymous atmospheres of most city buildings. The Superloft design focuses on creating vibrant, self-organized communities through installing a series of collective community spaces such as workshops, rooftop gardens, playgrounds, co-working spaces, physical fitness centers and lounge spaces. 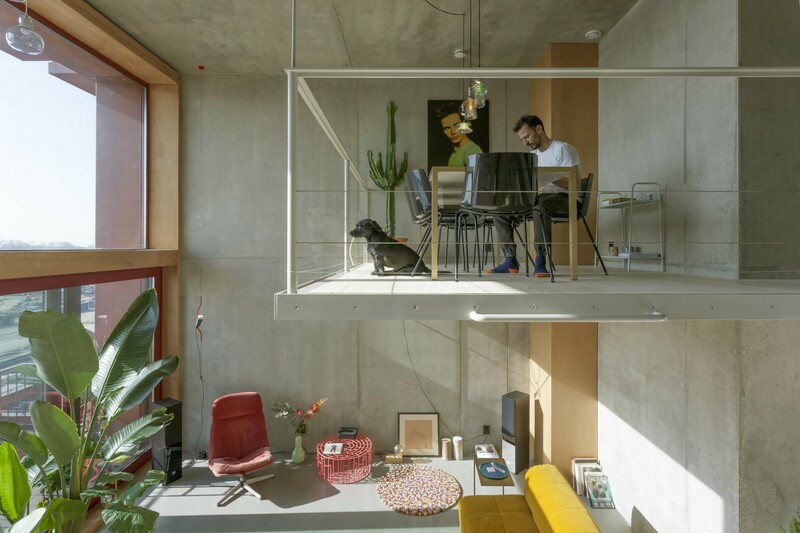 The Superloft design not only offers optimal flexibility for homeowners, but also for cities. The adaptable design is also incredibly beneficial to urban areas because it facilitates a circular way of building, resulting in less obsolete constructions. It can also be used to revive neglected urban areas and provide affordable housing solutions. Using the open building movement as inspiration, Superlofts offer the utmost in flexibility for home design, meaning that not only can the living spaces be personalized at move in, it can adapt to the future lifestyles of its inhabitants. These modules can be combined into a variety of configurations from housing blocks and highrises to townhouses and more. Homeowners can build out their living or working spaces within the raw volumes, enjoying a blank canvas to customize the space to fit their individual needs, which can change greatly over a lifetime. Centrally-placed utility shafts allow the kitchens and bathrooms to be placed almost anywhere in the lofts. Suspended cross-laminated timber mezzanine floors allow for extra spaces to be added without the need for supporting walls to be built or removed. Floor-to-ceiling glazed walls flood the interiors with natural light, reducing heating and artificial lighting use. Five Superlofts have already been completed in Amsterdam. Superloft Houthaven Amsterdam, which is located in an redeveloping industrial area in the north of the city, is comprised of 19 residences ranging from affordable mini lofts to luxury penthouses. The buildings come integrated with a number of sustainability features such as an aluminum smart facade that incorporates C02 sensors for ventilation, sun shading, drainage, etc. 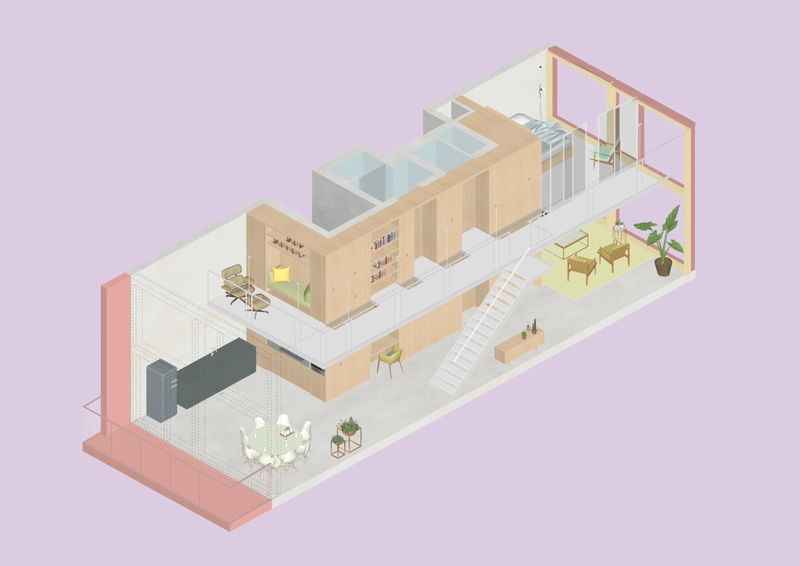 The design of the Amsterdam Superloft was co-created by a cooperative of buyers who installed a panoramic rooftop terrace, a garden space, and a cooking studio. 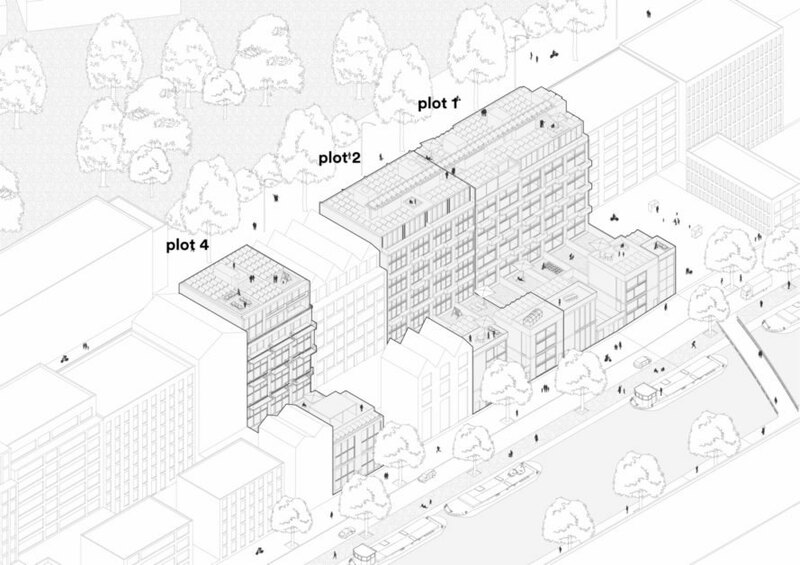 The shared living scheme of the design creates a "urban village" feel to the community, fostering a sense of connection within the buildings, versus the isolation that stems from the anonymous atmospheres of most city buildings. The Superloft design focuses on creating vibrant, self-organized communities through installing a series of collective community spaces such as workshops, rooftop gardens, playgrounds, co-working spaces, physical fitness centers and lounge spaces. Marc Koehler Architects' Superlofts can be configured in a variety of spaces.